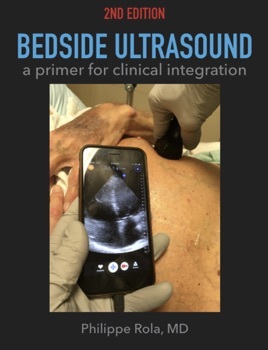 Not simply another "how-to" POCUS book, this is meant to take the novice or intermediate bedside sonographer-clinician on teaching rounds with a POCUS and resucitation veteran, providing the integration of imaging with clinical management. Aimed for physicians taking care of acutely ill patients and wanting to take their game to another level, not just in terms of POCUS skills, but more importantly in how to truly embrace the next phase in clinical assessment, one where all systems are co-examined with bedside imaging. Using a clinical syndrome-based approach, this will help readers reframe their clinical thinking from a new and especially physiological perspective. A must-read for anyone taking care of sick patients.